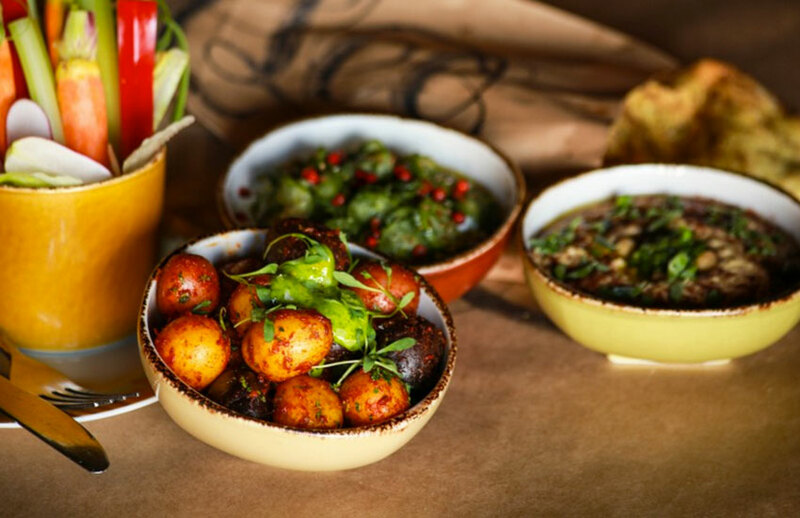 Chef Danny Elmaleh is finally exploring his Persian heritage. Set in the Redbury hotel, the buzzy high-ceilinged room mixes Carnaby Street with a dash of Laurel Canyon. Elmaleh’s cooking clings to the shores of the eastern Mediterranean and manages to stay true to a number of cultures. His kibbeh, lamb meat pounded with bulgur, has the silky heft of the Lebanese original.